Did you know sewing patterns for lingerie and swimwear are very simular? With exception of non-stretch underwear both use the same type of stretch in the fabrics. Although the fabric for swimwear usually is somewhat firmer both still need a good amount of 10 to 15% lycra (or spandex) yarns knitted along with the other yarns. The main difference is in the styling and way of trimming. Without any problem sewing patterns ment for lingerie can also be used to make swimwear. And of course the other way around as well. I’ll explane the main subjects in this blog post. There are some points of interest one has to consider for this matter. Like the use of scalloped lace galloon which is the case in many patterns for lingerie. Although it’s quite fashionable this year to use lace in swimwear most laces are not at all fitted for chloride or bright sunlight. Instead of scalloped lace you can cut these parts of lycra/spandex as well. But … where the instructions tell you to cut without seam allowance because of the scalloped selvedge DO cut a seam allowance when using lycra/spandex. As for trimming; always use clear elastic instead of plush picot elastic (this will wear out soon because it’s not chloride and sunlight resistant) Use clear elastic 5 to 8mm wide, more narrow will be too weak and wider will give discomfort in wearing. First stitch this with a serger on the seam allowance at the WRONG of the fabric. Fold the seam allowance back to the wong side and topstitch with a narrow zigzag stitch at the WRONG side of the fabric. The stitch will be on the seam allowance when the needle is going to the right and it will be just BESIDE the seam allowance when the needle is going to the left. This way you will not feel the change from one layer to a double layer. The same problem occurs with regular lingerie straps. Not resistant for chloride and bright sunlight. But no worries, just make them yourself from the same lycra/spandex as the rest of the garment. Cut strips in one meter length and stitch these into a ‘channel’ to be turned inside out. Add some clear elastic on the seam allowance to avoid endless stretching of the fabric. The width of the strip should be 4x the width of the elastic + a few extra mm to balance the thickness of the layers. This means the width of the elastic will determine which the width of the straps will be. The whole proces is written step by step in the PDF free download. Very important is also the choice of fabric, this is directly connected to the goal of the garment. The quality is less important when the garment is only used for lounging at the beach or an incidental dip into the water compared to swimming for some hours every day. For serious swimming the quality of the fabric should be quite firm but still with a good amount of stretch in all direction (4 way stretch). Unfortunately when buying stretch fabrics you or even the seller will have no means to determine the chloride or sunlight resistance. Only when this information is provided by the manufacturer you can be absolutely sure of it. Don’t throw out remnants of the fabric you’ve used, even the smallest amount can be a lot of fun for an extra strap or decorative ruffle somewhere in another garment. You might also use it to cut out all kind of designs and add it to the swimwear. This might be sewn like an applique all the way around but also very simple with a few stitches (or a button) in the middle to leave the rest loose. In the free download I’ve also included a list of all the Merckwaerdigh sewing patterns and what to adjust when they need to be used for swimwear. some of them are already ment for swimwear of course but it seemed a good idea to get it all in one clear overview. 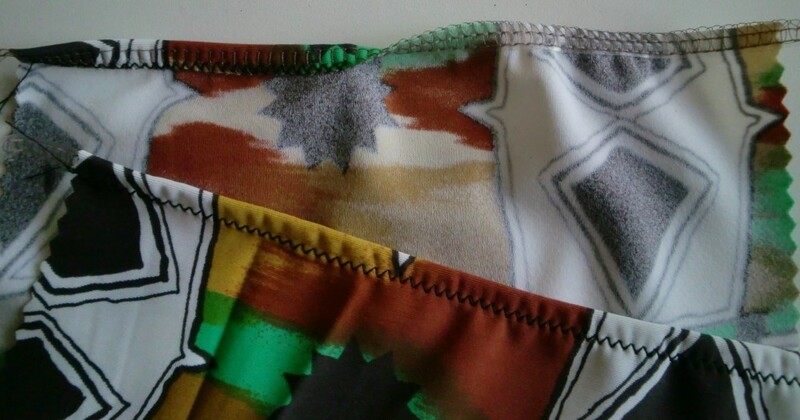 You will see it need just minor adjustments to make each pattern suitable for swimwear in a fabulous Summer this year! This entry was posted in tips and tricks and tagged adjusting, bathing suit, beachwear, bikini, bra, clear elastic, design, DIY, lace, lingerie, lycra, picture, scallops, sewing, sewing pattern, straps, swimsuit, swimwear, tankini, trimming, underwear. Bookmark the permalink. Since I just started making lingerie a few weeks ago (you can see some at mybratelier.com), this is very useful information. I had noticed the similarity in the styles, but you’re quite right about the different materials. This gives me more confidence to try swimwear, thanks!